Bitcoin gaming has a new addition. A Rapid Web developer, emulating the success of the popular Twitch Plays Pokemon series, developed his own twist on the idea by letting people play Pokemon collectively. In his version, instead of just allowing players to send in their input via chat commands, commands are sent by donations to a particular Bitcoin wallet address. Playing a game collectively has been done before but the integration of Bitcoin is a unique twist. Adding a barrier of entry can ensure that spam commands could be avoided, a problem that plagued the normal Twitch Plays games. Furthermore, the fact that the proceeds will be donated to charity is a good incentive to play. There is no worry about being scammed, since Bitcoin’s public ledge can easily trace where the money goes to. 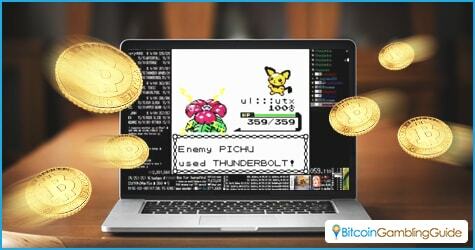 With the use of Bitcoin for this game, this adds Pokémon to the many games that have added and integrated the cryptocurrency. The small-yet-growing Bitcoin games community is always seeking to push the envelope when it comes to game creation and Bitcoin integration. The biggest refuge of Bitcoin games right now is the gambling world. Most of the games today that use bitcoins are found in online Bitcoin casinos. Considering how many transactions originate from the gambling industry, the usual spread of gambling games are in Bitcoin casinos. This includes Bitcoin slots, roulette games, and card games. Bitcoin dice games, which prompt players to correctly guess whether a result is higher or lower, are extremely popular forms of Bitcoin gaming. But it is not all about gambling, though. For people who are interested in going beyond the games offered in Bitcoin casinos, there are more traditional games. These are usually full-fledged programs that can be found in app stores for mobile devices. An example is SaruTobi. In this game, players act the part of a monkey swinging from a vine. The goal is to reach the greatest distance, and this is done by timing the release at the right moment. While the monkey is in flight, players can catch bitcoins that can be withdrawn later. Next is FlapPig. Based on the popular Flappy Bird game, the players are in control of Foo, a pig with wings who aims to collect as many bitcoins as possible. Players tap the screen to keep him in flight. When the game is over, players can withdraw all of the bitcoins earned. 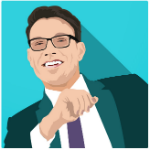 Much of Bitcoin integration into games is aimed at giving and taking bitcoins. This is mostly done to encourage the spread of Bitcoin. With the increasing popularity of the cryptocurrency, people expect more and more mature gaming products to be released into the wild. 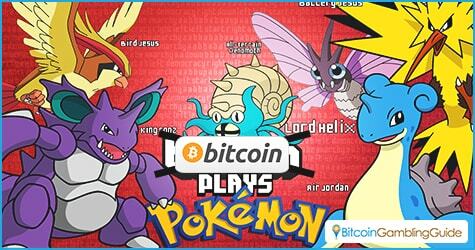 The Bitcoin community now hopes that new initiatives like Bitcoin Plays Pokémon will start what could be an extra boost for Bitcoin in the iGaming sector.